Several sites around the Web are reporting that Linden Lab, developers of the most well-known Virtual Worlds platform, Second Life, has gone through restructuring. The company has laid off a third of their staff and also announced several changes in their overall strategy, acquiring Enemy Unknown, a company that operates a social network for users of multiple virtual worlds, and work on integrating Second Life with other social networking sites, such as Facebook. In addition, the company is planning to offer a browser-based Second Life experience that doesn’t require a separate software application. The user base of Second Life has been dwindling in recent months as social networking sites have gained popularity. Despite a great deal of press about Second Life and virtual worlds a couple of years ago, including coverage by major news outlets, there never seemed to be a clear niche that developed for this type of product – the learning curve could be high and users seemed to be attracted to virtual worlds mainly for online games, role play and events, such as concerts, rather than an essential part of their everyday social networking or work life. A Chronicle of Higher Education article in February noted the frustrations that colleges faced in exploring Second Life and virtual worlds as a learning tool and interest in more open virtual worlds tools, such as Open Cobalt. Some instructors are using virtual worlds tools for distance learning applications and simulations, but the jury is still out on the overall utility of virtual worlds software in a wider university context. Research and debate continues in academia on the topic. 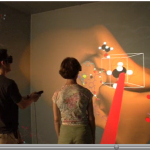 The VirtualWorldsEdu blog is one reference for ongoing dialogue about educational uses of virtual worlds and examples from faculty on experiments in using the software in courses. The Virtual Worlds Innovations blog by developer Dave Taylor links to many examples and explores developments in the use of virtual worlds software in medical education.